The only book to cover physical therapy for dogs, Canine Rehabilitation and Physical Therapy, 2nd Edition provides an understanding of physical therapy techniques and intervention for dogs suffering from debilitating conditions. The book includes four new chapters, hundreds of illustrations that highlight key concepts and procedures, and case studies and specific therapies that can be used as guidelines for the management of clinical patients. 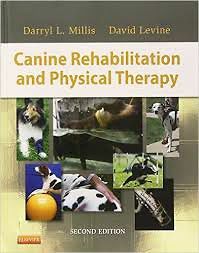 Author Darryl Millis offers the perspective of a veterinarian skilled in orthopedics and orthopedic surgery, and co-author David Levine is a respected physical therapist with experience working with both dogs and human patients. By applying the principles of physical therapy described in this unique book, and by viewing therapy and exercise videos on a companion website, you can help dogs achieve a faster and more complete recovery.